Married at First Sight stars Ashley Petta and Anthony D'Amico will be starring with two other couples on the show's upcoming Happily Ever After spinoff on Lifetime, and the couple is teasing a wild ride is in store. Anthony said viewers can anticipate "a whole lot of crazy Anthony and Ashley" on Married at First Sight: Happily Ever After, in an interview with the Chicago Tribune. Ashley, a 32-year-old suburban bar manager, and Anthony, a 35-year-old sales and marketing professional, tied the knot without even knowing each other's first names on Season 5 of Married at First Sight, which was based in Chicago and aired last year. "The first time around you don't even know the person you're spending every day with," Ashley said. "But now it's just more natural." Not only did the couple decide to stay married on "Decision Day" at the end of the extreme eight-week experiment, but now they are expecting their first child together. "It worked for us," Ashley said about the Married at First Sight process. "We definitely put in the work, but I think we were also lucky. We were matched [by the experts] very well." Ashley and Anthony's journey to parenthood will be the focus of the Happily Ever After spinoff, which premieres Tuesday at 9PM ET/PT on Lifetime. And like Ashley and Anthony, the other two couples on the series -- Shawniece Jackson and Jephte Pierre as well as Danielle Bergman and Bobby Dodd -- are also pregnant. "We have a really solid relationship," Ashley told the Chicago Tribune. But Ashley and Anthony apparently had a difficult time watching back their original Married at First Sight season given they fought frequently over silly things such as parking spaces and Anthony's tardiness. In fact, watching such arguments on television prompted Ashley and Anthony to bring up the tense topics again in their home. "I am not as late as it looks like," Anthony noted. "I disagree with you on that for sure," Ashley said. "He's still late all the time, but I definitely just got used to it." 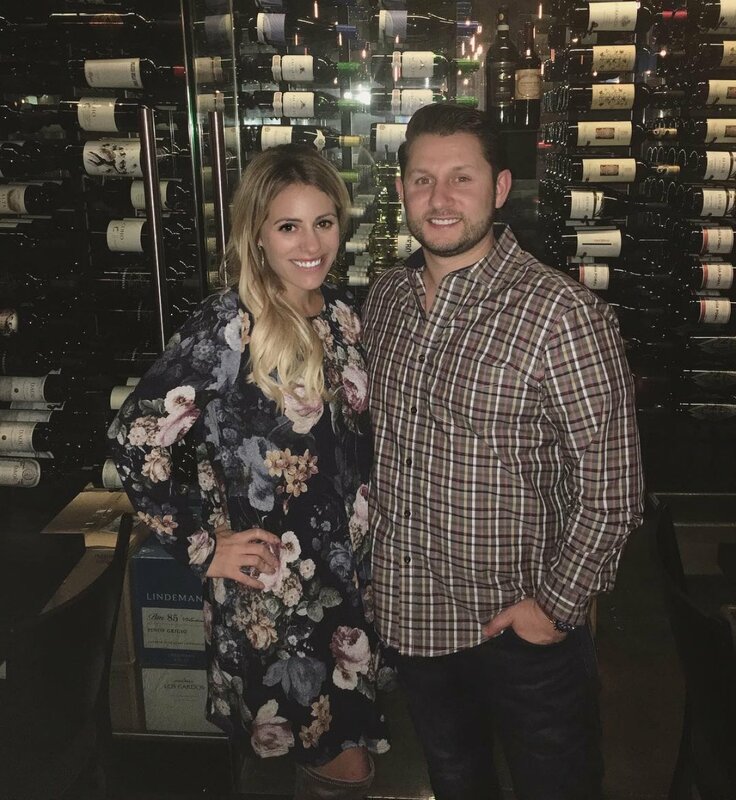 Ashley, who got married at first sight because she seemingly couldn't wait to become a mother, and Anthony announced they're expecting a baby together in August 2018. "I think that things are really looking up from here, and we've never been in a better place," Ashley gushed.